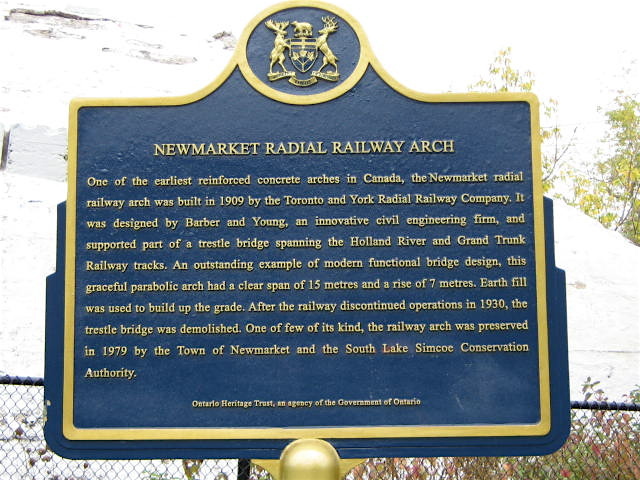 One of the earliest reinforced concrete arches in Canada the Newmarket radial railway arch was built in 1909 by the Toronto and York Radial Railway Company. It was designed by Barber and Young, an innovative civil engineering firm, and supported part of a trestle bridge spanning the Holland River and Grand Trunk Railway tracks. An outstanding example of modern functional bridge design, this graceful parabolic arch had a clear span of 15 metres and a rise of 7 metres. Earth fill was used to build up the grade. After the railway discontinued operations in 1930, the trestle bridge was demolished. 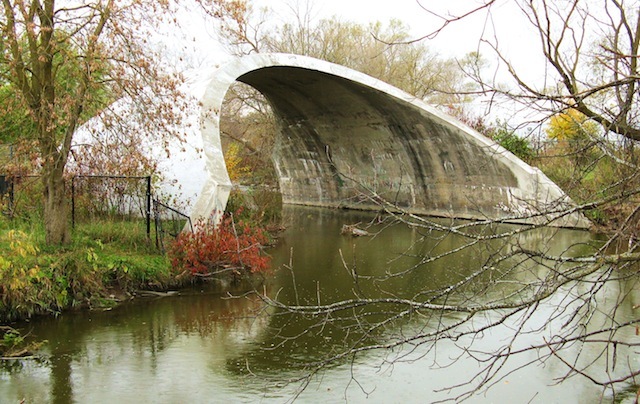 One of few of its kind, the railway arch was preserved in 1979 by the Town of Newmarket and the South Lake Simcoe Conservation Authority. Finally the plaque is back. 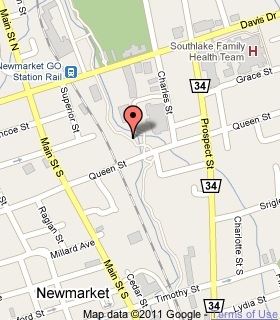 All shiny and new. Hopefully it stays paint free for quite some time. The plaque was taken down in May 2012, just before the long weekend. There was paint thrown on it, and it is still not refurbished.